Learn about our neighborhood at Springs at Juban Crossing. 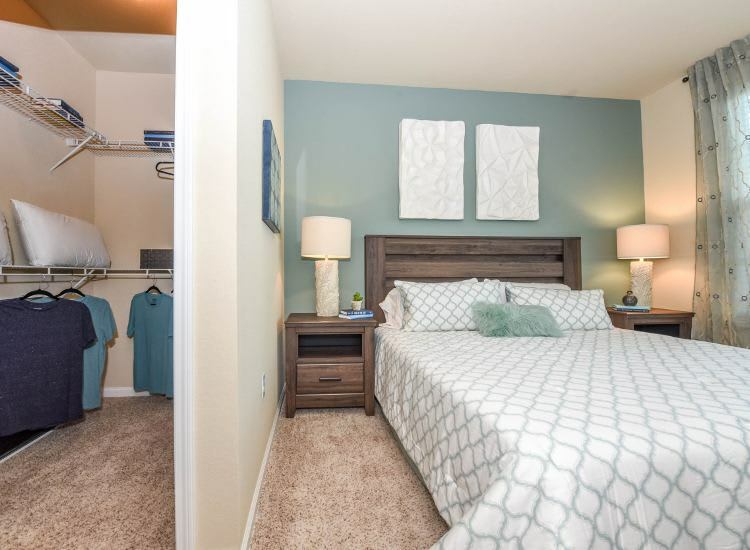 Click to learn more about the Springs at Juban Crossing pledge. Set under tall sprawling pines in beautiful Denham Springs, LA, Springs at Juban Crossing is your destination for Louisiana relaxation. 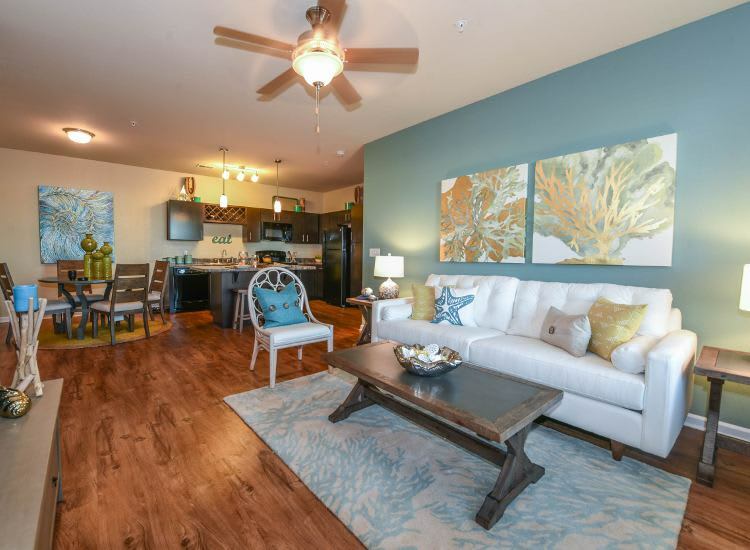 Our garden-style community offers Studio, 1, 2 & 3 bedroom luxury apartments for rent near I-12. Each home offers an optional attached or detached garage, so you can protect your car from heat or inclement weather. Plus, our homes are outfitted with designer-inspired kitchens with select homes featuring contemporary stainless-steel appliances and sparkling granite countertops. Each of our homes also includes a spacious island breakfast bar, which offers extra counter space and a cozy spot for a quick meal. In addition to our premier in-home amenities, our community boasts a resort swimming pool where you can lounge away the summer. Plus, you can always visit our on-site management in the clubhouse front office. Stop in for a chat, pick up held packages, and grab a free cup of coffee. Savor fine Southern living at Springs at Juban Crossing. At Springs at Juban Crossing, great customer service means wonderful and personal greetings, well-maintained grounds you can be proud of, quick and top quality maintenance resolutions, and timely follow-up from our team. You can always count on us to listen and be accountable. We love your pets at Springs at Juban Crossing! Our charming town of Denham Springs, Louisiana, is situated along I-12, just eighteen miles east of downtown Baton Rouge. Our city is known for Denham Springs Antique Village, our historic downtown district. Support our small businesses by shopping at one-of-a-kind antique boutiques and art galleries. Then stop for catfish po-boys at TOLA Café. On the weekends, take your fishing poles and your luckiest lures to Waddill Wildlife Refuge to see what you can catch in the ponds. If you like to go camping, reserve a campsite at Tickfaw State Park, where you can explore the trails, ponds, marshes, and wildlife. 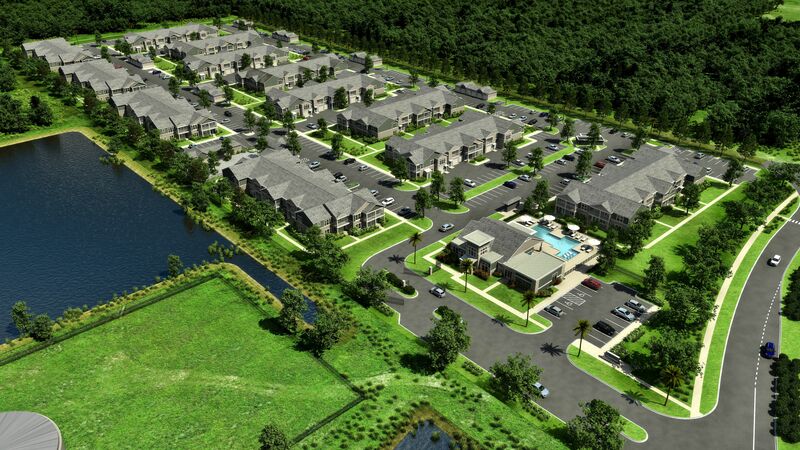 At Springs at Juban Crossing, we’re thrilled to invite every member of your family to our luxury community. We extend our Southern hospitality to cats, dogs, birds, reptiles, fresh and saltwater fish, small furry animals, and most exotic pets. When you and your dog aren’t hiking at Tickfaw State Park, toss her favorite toy at our on-site off-leash dog park. If she gets dirty, give her a quick bath at the pet spa station. 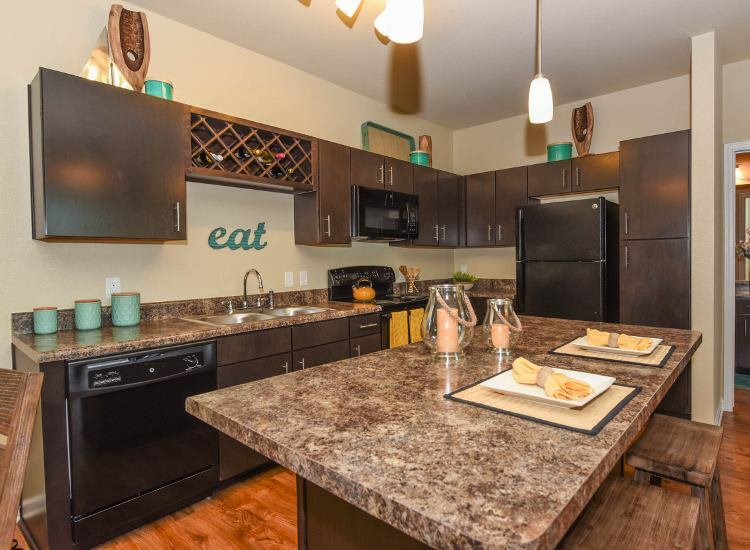 Plus, each of our homes is equipped with central heating and air conditioning so it’s easy to maintain the perfect environment for your pet, regardless of the season. Let Springs at Juban Crossing be your sweet Southern retreat. 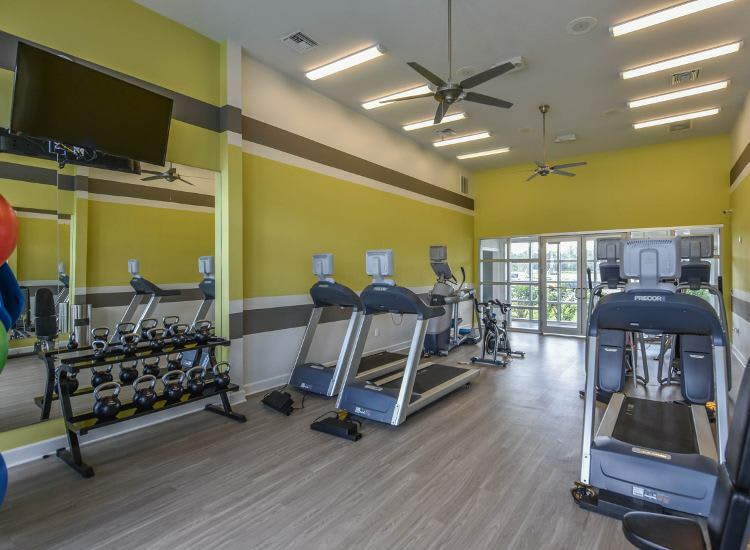 Contact our leasing team today to schedule your tour of our apartments for rent in Denham Springs, Louisiana.